"In early June, Netflix brought together 47 of its Black creators, actors, and directors from over 20 series, films, and documentaries to announce a new day in Hollywood. 'A Day for our generation to see untold experiences of our Blackness,' McLaughlin declared. 'A day when Black women are boldly the lead character, whether inmates or scholars. We’re not a genre because there’s no one way to be Black.' Pictured in the photo are Spike Lee, Alfre Woodard, Lena Waithe, Danielle Brooks, Derek Luke, Marlon Wayans, Laverne Cox, and lots more. Folks flew in from every corner of the world just... to be part of the event, which felt more like a family reunion than a production." Rarely do I receive the opportunity to play copywriter for our counterparts in Program Advertising. But as The Newsroom Season 2 campaign approached, we were left without a proper tagline for the moody desert key art. My colleagues and I pitched several pithy phrases for consideration. Lo and behold, one of my lines worked its way up the approval ladder and onto posters and billboards across New York and LA. How exciting! HBO celebrated the premiere of Boardwalk Empire's 3rd season with an evening of glitz and glamour at Cipriani New York. I was lucky enough to have the great company of my super talented friend, Kate Storey, who was covering the premiere for the New York Post. We dined and we danced, as evidence by the photobooth below. Good times! Last night, the Boardwalk Empire promo team joined the cast and crew of the show for an exclusive premiere party at the fabulous Waldorf Astoria. With the Emmy Awards approaching this Sunday and the season premiere just a short week later, the ballroom was filled with excitement. We enjoyed dinner and drinks amidst 1920s vintage-inspired decor and showgirl servers. The live band was playing period hits as guests gambled their souvenir chips at the black jack and roulette tables. Everyone is gearing up for another action-packed season where the Atlantic City stakes are only getting higher. Are you? Yesterday evening, the Mildred Pierce promotional team joined the cast and crew for their red carpet moment and a Ziegfeld screening of parts 1 and 2 of the miniseries. We had amazing seats next to recent Academy Award winner, Melissa Leo, and the very dapper Guy Pearce. Afterward, we celebrated at The Plaza with delicious dinner and drinks. And let's not forget Mildred's world-famous pie served up as dessert. Kate Winslet looked stunning, making the style section of every magazine on the newsstands. Meet the Mildred promo team and Buzz crew below. 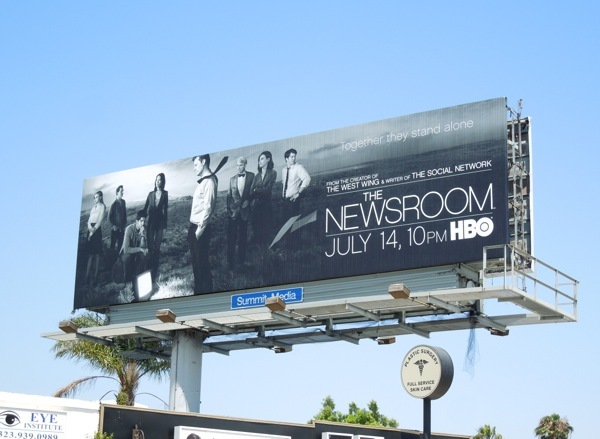 We didn't get published but we did receive lots of hugs and congrats from our friends at HBO. It's an annual tradition that Variety selects a Showman of the Year. But this year, it's not a celebrity, studio, director or producer. It's a company. Our company. HBO. 2010 was a very big year in these hallways. We pushed out critically acclaimed new series, Boardwalk Empire, and the highly anticipated miniseries, The Pacific. We brought back returning seasons of our biggest hit, True Blood, and fan favorites: Hung, Bored To Death and Eastbound & Down. We won Emmys for the brilliant Temple Grandin and You Don't Know Jack. In short, we were busy! What I loved best was the actual cover of Variety. Instead of choosing show clips or pasting our executives' mugs on newsstands, they chose all of us. That's every HBO employee on the cover, taking a little bow and small pat on the back. Congrats! As we approach the highly anticipated premiere of Boardwalk Empire, HBO would like to invite you inside the original sin city. In 1920, Atlantic City was "The World's Playground". Step inside and check it out for yourself. 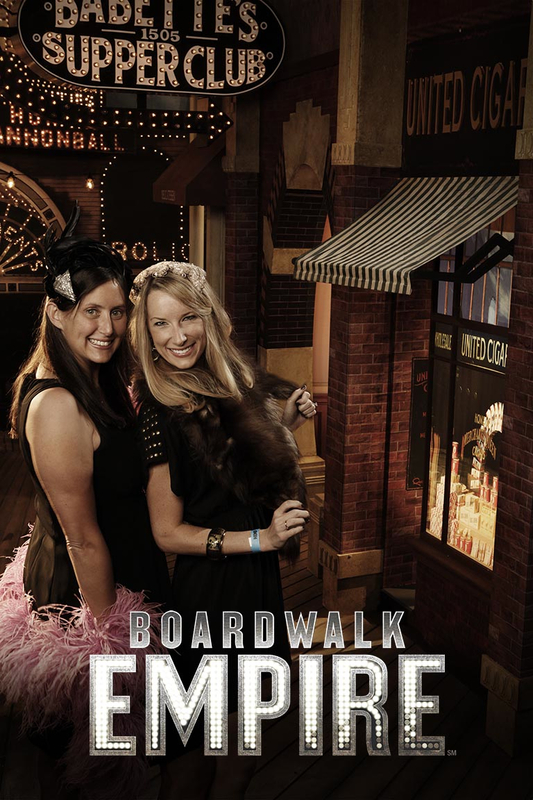 Navigate along the interactive boardwalk and click on labeled hot spots to unlock video galleries that will take you behind the scenes with Boardwalk Empire's creators, cast and crew. Be on the lookout for my contributions: Wet vs Dry: The History of Prohibition, On Tempo: Music of the 1920s and Birth of Organized Crime. My newest assignment is launching the second season of Hung, the HBO dramedy starring Thomas Jane as a male prostitute for hire. Check out New Zealand's eye-catching print campaign that didn't make it in the states. Vulgar or genius? When I started working in promotion, my family frequently asked when my name would appear in the credits. Very rarely. And as we conclude the Big Love season 4 launch campaign, my answer is no different. However, this time around we created the credits. Not the the white-on-black scrolling text at the end of each episode. We conceptualized, shot and edited the opening title sequence. The Big Love creators loved are "falling" launch campaign so much that they felt the entire series could benefit from a facelift. And they asked us to conduct the surgery. Long gone are the days of skating to the Beach Boys atop thin ice. Bill and his three wives are now free falling at the beginning of each Big Love episode. This has been a very excited and unprecedented venture for HBO's Creative Services team and we couldn't be more thrilled to have the opportunity!